It is a holiday – Labor Day – here in the States. The official end of summer. Sad. So in honor of holiday and avoiding much labor of my own today, I thought I would share the fruits of other people’s labors at the Garden Quilt Show I went to a couple of weeks ago. This Halloween Houses quilt was made by my friend and co-worker Sharon. It comes from the Buggy Barn pattern, Flag Day. I love the overall design and colors. Her friend Larisa quilted the most amazing details. 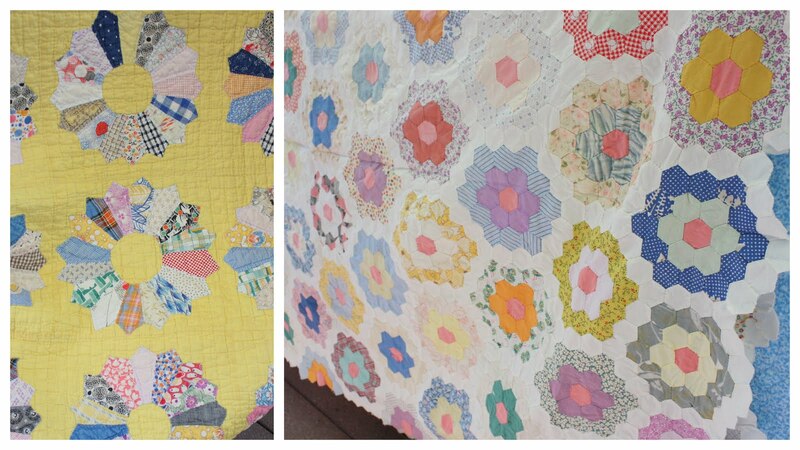 A couple of wonderful antique quilts. I loved the scrappy Dresdens on the cheerful yellow background. And the hexagons in this Grandmother’s Flower Garden quilt were tiny! Each hexagon was about the size of a quarter. I also loved this Snowball quilt using reproduction shirtings. This is what I’m doing today. But I’ll be back with more good stuff throughout the week. First inspiring comes to mind..your friend Sharon who made the houses…love love love it…<br />I think I may just have to make one…I can think of a zillion reasons why, ok a bit of an exageration. I&#39;m bad.<br />blessings madame samm<br />ps love your blog on my list of must sees. Beautiful quilts. Thanks for sharing. Love &amp; blessings from NC! I enjoyed seeing all the beautiful quilts! Thank you for sharing this! Looks like you had a fun day! What great eye candy! Thanks for sharing. The photo of you at the waterfalls with the little guy is so cute Amy! And thanks for sharing the quilt show with us. Thank you for sharing the quilts! 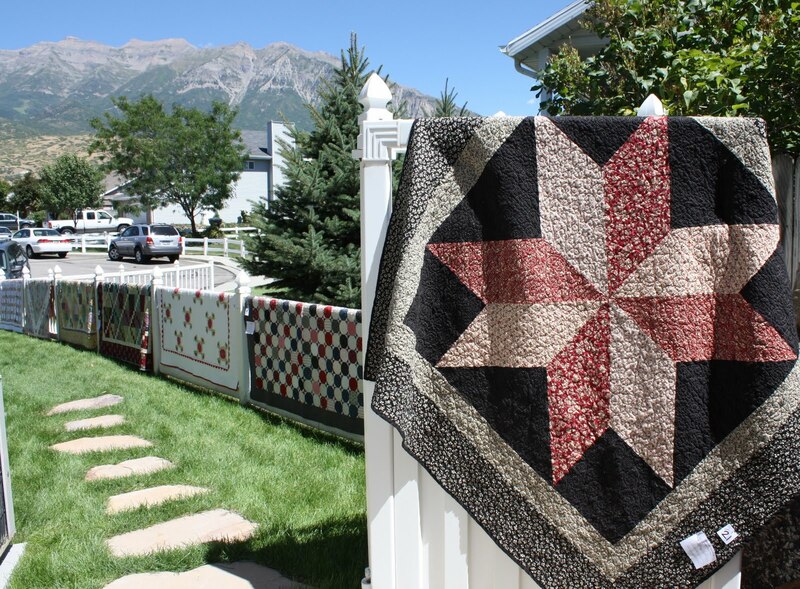 Gorgeous quilts! I should have gone to the show. I am pretty sure I know that waterfall. LOL! Beautiful quilts and looks like you were having fun today. Mmmmmm!! Thanks for sharing – that snowball quilt is giving me ideas….. I really enjoyed the garden tour quilts, Thanks. Oh that snowball one is amazing! The combination of those simple colours just makes it pop! Thanks for bringing us to the show with you! Those are some wonderful quilts. 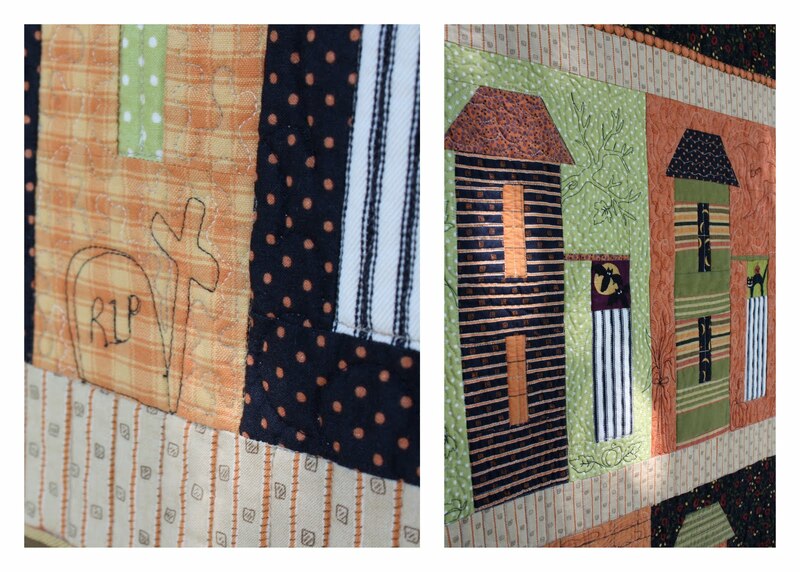 I really like the quilting on the Halloween Houses quilt – I&#39;ve been obsessing over quilting these days more than the fabric. Looks like a beautiful place to visit too! I absolutely loved your quilts. The bike! The Halloween houses! Thanks for the whole quilt show! Very inspiring! Those Halloween houses are terrific. Actually, all of the quilts are. I am always a little sad to say goodbye to summer. I feel like Labor Day is the official last day of summer. On a happy note, I love the quilt show pics!! My friend Ella and I almost went, some conflict or another. Looks like a great display of quilts. That Halloween quilt is amazing and so fun! I want to make one now!